People are often surprised to hear how long it takes from the time an exhibition idea is conceived to its installation in one of our galleries. In fact, exhibition development is a long and multi-tiered process and involves the contributions of a team of individuals each of whom brings diverse skills and areas of expertise to the table that are necessary to create a rich and engaging high quality exhibition. In addition, we often find that the final exhibition is vastly different from what we had anticipated when the project was conceived as we follow the trail of research that often reveals new exciting discoveries suggesting a different interpretive tact than what was originally proposed. 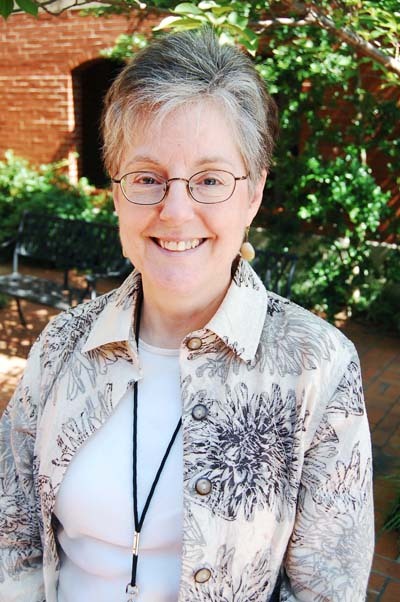 At the JMM, we are fortunate to have a skilled exhibition curator, Karen Falk, who takes the lead on developing original exhibitions (including Chosen Food and the upcoming Jews, Health, and Healing project). The curator plays a pivotal role in shaping the exhibit’s big ideas and concepts; conducting research; selecting photographs, documents, and objects to include and determining where in the exhibit they best fit; writing the exhibit script and label text; and supervising the exhibition design and fabrication process. While the curator guides the process, exhibition development at the JMM is very much a collaborative effort. Other members of the team from within the JMM include our collections manager (Jobi Zink), who oversees loan processing, artifact conservation, and exhibit installation; our education director (Ilene Dackman-Alon) who ensures that exhibit content and interactives meet the needs of school audiences; CFO (Susan Press) who develops project budgets; and our executive director (Marvin Pinkert) and assistant director (Deborah Cardin) who participate in various stages of exhibition development. Additional JMM staff members play significant roles in other important aspects such as program development, marketing, gallery preparation, and fundraising. The JMM also relies on the talents of consultants to assist in the critical areas of exhibition design and fabrication. The exhibition designer is typically brought in early in the process and works closely with the project team to refine concepts and to create floor plans, interactive activities, and a graphic identity for the exhibit. Once the design stage is complete, exhibition fabricators work to build exhibit elements including printing panels, labels, and background images. This entire process from start to finish takes a minimum of two years. Because we do not have enough resources in house to develop original exhibits to install something new in the Feldman Gallery once, much less twice a year, we also rent exhibitions for display that originate at other museums. While traveling exhibits do not involve as much work, JMM staff still must oversee details large and small from negotiating contract agreements to taking care of shipping and insurance arrangements to modifying the exhibit’s design to fit the specifications of our galleries. 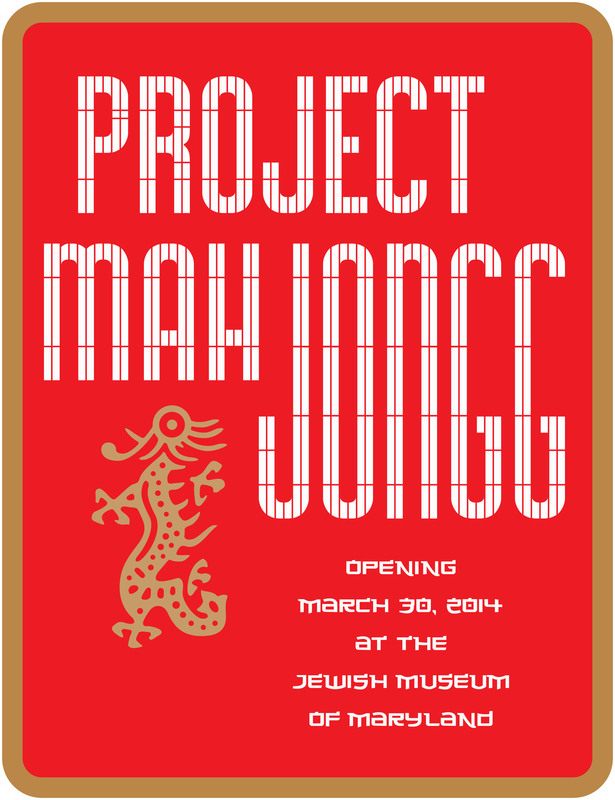 Some exhibits, such as the upcoming Project Mah Jongg which comes to us from the Museum of Jewish Heritage, are installed more or less as they were originally designed with just a few modifications. For others, we make larger adjustments to the exhibit’s design so that we can add materials that reflect the Maryland experience. For example, for our current exhibit, Passages through the Fire: Jews and the Civil War, we conducted extensive research into the history of Maryland Jewish involvement in the war and added many new stories and artifacts. The resulting installation in our gallery is quite different from how it originally appeared at Yeshiva University Museum. We often get asked how we come up with ideas for exhibits and there really is no simple answer to this question. Topics come to us from many sources including staff, volunteers, board members, visitors, and interns. Sometimes an exhibit project is proposed for a specific reason such as a desire to showcase a particular collection or to tie in with larger communal events. One current exhibit under development, The A-Mazing Mendes Cohen, was initially proposed by executive director Marvin Pinkert as we were looking to fill in what we thought was going to be a small gap between two other exhibits. The original rationale for this project was an interest in participating in Baltimore’s anniversary celebration of the War of 1812 through the creation of a small scale exhibit focusing on Mendes Cohen, a member of one of Jewish Baltimore’s early prominent families who was a traveler, adventurer, and collector. Our initial proposal was to focus on his wartime involvement at Fort McHenry. We also were eager to display some of the artifacts that we have on display belonging to Mendes including a portable writing desk and jacket. 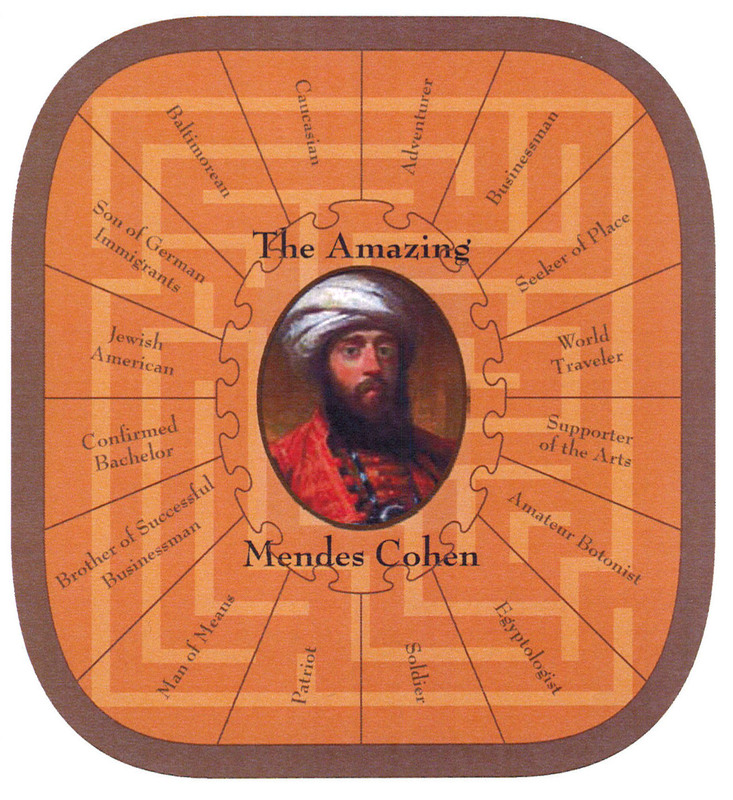 As we began exhibit research, we uncovered many new discoveries about Mendes and his family and what began as plans for a small temporary exhibit have turned into a full-fledged interactive exhibit taking the form of a maze (designed by Minotaur Mazes) that will be on view for nine months. The maze format serves as an apt metaphor for Mendes’ life which took many twists and turns. At certain points in the maze, visitors will have to make choices that simulate decisions that Mendes made. Thanks to the efforts of researcher Joseph Abel, who has been working with us on the project for the past few months, we have been able to immerse ourselves in his life by exploring a treasure trove of letters written by Mendes housed at the Maryland Historical Society that provide meticulous accounts of his journeys to Europe and the Middle East (Mendes was the first American citizen to receive official permission from the Ottomans to visit Palestine). 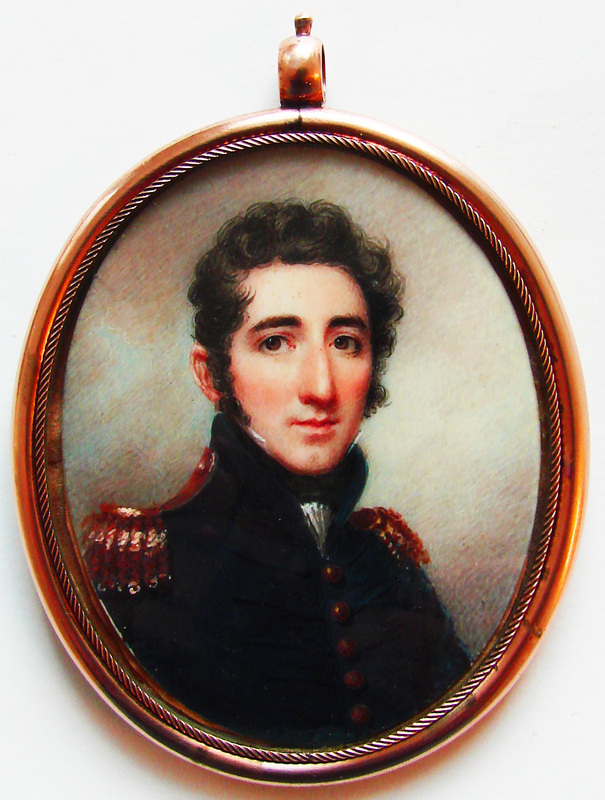 Through Joseph’s analysis of these letters as well as of documents housed in other archives, he has uncovered some wonderful new insight into the difficulties of traveling in the 1830s as well as new information about the places he visited during his journey. The resulting research has led us in a new path. Our latest concept for the exhibit focuses on the search for identity and tasks visitors to explore the many different ways that Mendes defined himself through his family relationships, religious observance, professional obligations, and search for adventure through travels. At a recent meeting with our exhibit designer, Kelly Fernandi of Minotaur Mazes, we were delighted by how he captured the essence of this concept through interpretive panel designs and interactive activities. We all left the meeting feeling enthusiastic about our plans for The A-Mazing Mendes Cohen and are continuing to research new sources and explore new avenues for bringing Mendes’ incredible story to life. We look forward to keeping you apprised of our progress and hope you will join us to discover Mendes for yourself when we open the exhibit in September 2014.